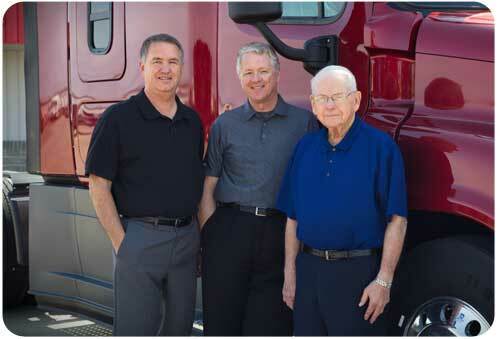 Nebraska Truck Center was “born” in November 1969 with the dream of 3 men; L. Kent Coen, Lloyd Brown, and their late partner Floyd Hough, to start a franchised heavy-duty truck dealership in central Nebraska. It began with a small office area, cramped quarters for parts inventory, and 6 bays for trucks along East Highway 30 in Grand Island, Nebraska. Over the years the dealership grew and underwent many changes, adding locations in North Platte and Hastings, relocating our Grand Island location, as well as adding parts delivery routes. We opened our North Platte store in 1972 to provide customers with a second location to find quality service, parts, and truck sales in the western reaches of Nebraska. We completed a major expansion and remodel project in 2005 to better serve our parts and service customers. More facility upgrades are in the works to better serve our customers and provide great workspace for our employees. In 1992, we opened our Hastings location located at the intersection of Burlington & Hwy 6. This location features a large, state-of-the-art paint booth to complement our full service body shop, a recently upgraded wrecker unit, and our “New2You” ReRun Truck Parts inventory and sales department. 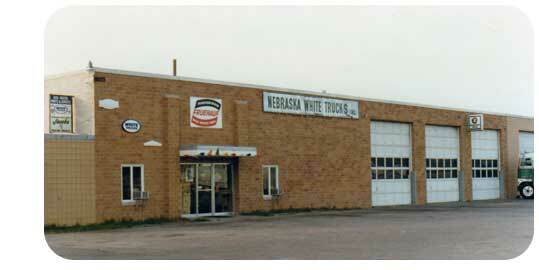 In March of 2001 we built our new facility in Grand Island three miles north of Interstate 80 along US Highway 281. The Highway 281 location consists of a 56,000 square foot state-of-the-art building housing the company’s service, parts, sales and administrative offices. The service area offers 15 large service bays big enough to handle heavy or medium duty trucks and a large customer lounge with a TV, laundry facilities, showers, and more. Our combined parts departments have $2-million dollars of the parts you need and are looking for – which include parts for Cat, Cummins, Detroit and Mercedes engines, in addition to parts for all models of Freightliner, Sterling and Western Star vehicles, or most any model of vehicle. In 2015, after 45 years in the business L. Kent Coen retired from the company. Kent Brown, formerly the company’s vice president, assumed the role of company president. Kurt Brown assumed duties as vice president in addition to his sales manager position. Lloyd Brown remains as active in the company and is Chairman of the Board.